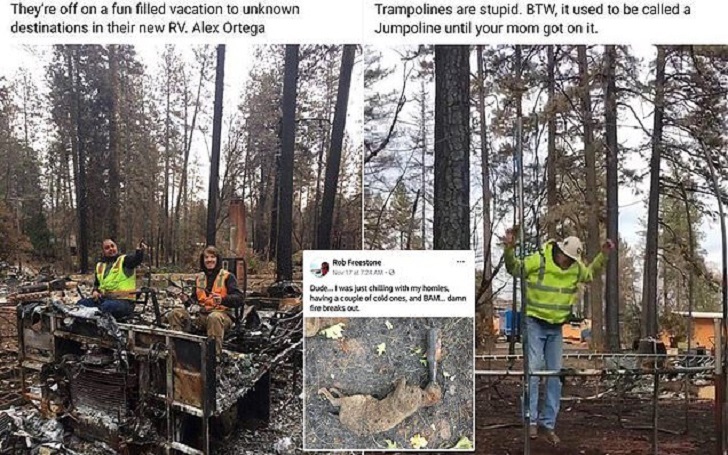 Three California workers were fired after they posed for "abhorrent" photos from the deadly Camp Fire destruction occurred last month. 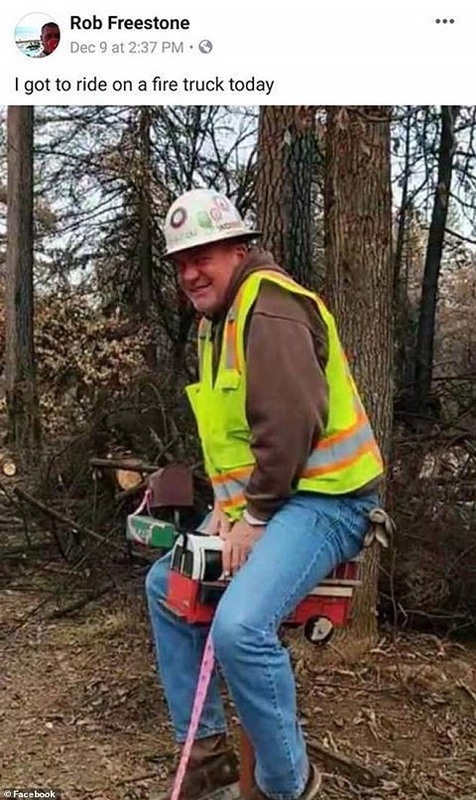 Rob Freestone, a worker for Bigge Crane and Rigging Co., took to Facebook and posted photos of himself and his co-workers from the cleanup efforts in Paradise, which was destroyed when flames scorched through the area last month. The photos showed the workers making light of the tragic incident Paradise went through. 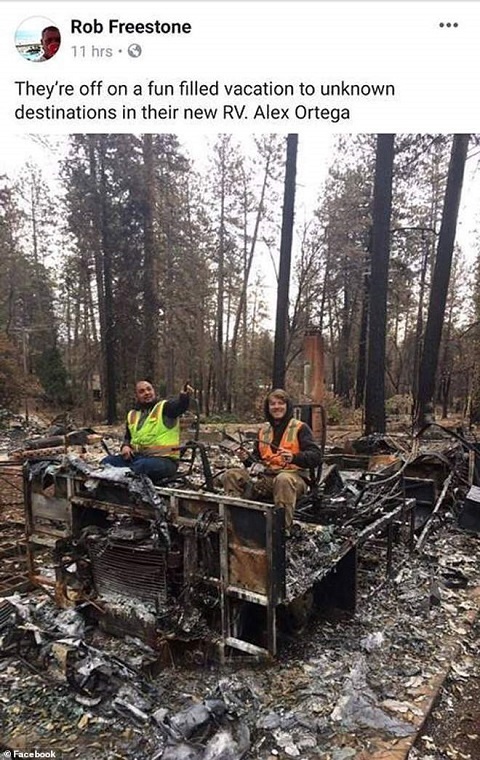 One image, showed two workers seating in a burnt out motorhome as they were all smiling, adding a joking caption, "They’re off on a fun filled vacation to unknown destinations in their new RV". 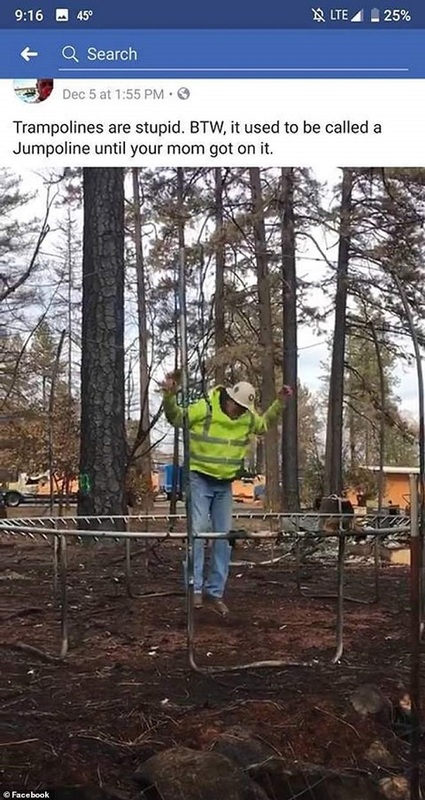 A second photo showed a worker jumping in a trampoline's wreckage. According to a Facebook post the company shared over the weekend, Rob was fired along with two other workers for the "abhorrent" photos. 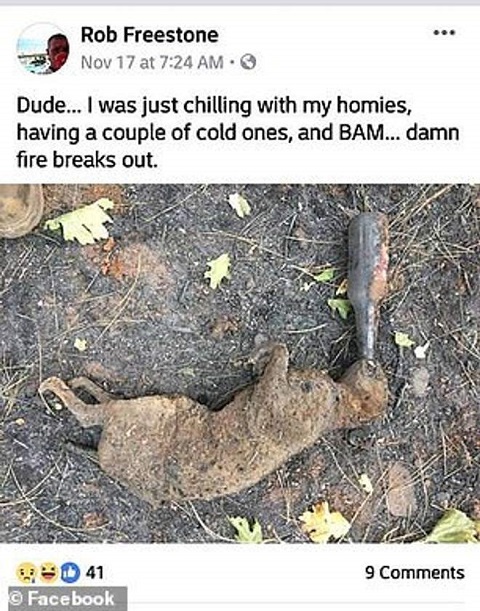 The company wrote on Facebook, "We have identified three participants in this abhorrent event and their employment has been terminated." It added, "Bigge expects its employees and contractors to work with the utmost integrity and professionalism." The behaviour of these individuals is not consistent with our company values and ethical code. Bigge regrets that the residents of Paradise and Butte County have suffered an egregious insult during an already devastating time at the hands of these three individuals. Bigge supports and appreciates all our surrounding communities. The California wildfire had left at least 63 people dead and 631 missing last month.